It’s easy to get lost in the world of MIDI. Without fully understanding the dynamics of how MIDI functions and is applied, there is serious room to misinterpret the true meaning of someone saying ‘you need a MIDI keyboard’. If you’re faced with a daunting decision, or simply cannot get your head around the topic, let’s try to make it as simple as possible to help ensure your purchase is justified and well suited to you. Firstly, what is a MIDI keyboard? A MIDI keyboard, aka Musical Instrument Digital Interface, is a note and command generator, much like how your computer keyboard generates letters. MIDI Keyboards do not output any audio as they do not feature a sound engine, they simply exchange MIDI data between devices via USB or 5-pin MIDI. Your computer or sound module then allocates the sound – or “software instrument”, and thus, your note data turns into notes played by a guitar, cello, bass, synth or anything of your choosing. 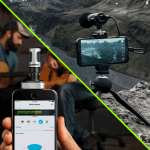 In other words, you have access to a wide array of sounds at just the click of a button. When conveniently paired with a digital audio workstation such as Ableton or Logic, MIDI keyboards allow the users to control note duration, modulation and volume, as well as featuring pitch bending functions. This means you are no longer limited to what you can play, simply limited to what you can imagine. You are also granted access to hands-on control over much of your DAW’s parameters through mappable faders and/or encoders – which is great for live automation and real-time control over FX whilst performing. Although most modern digital and stage pianos have MIDI capabilities, they do not offer the same functionality and DAW integration that a dedicated MIDI keyboard will offer. This production method is slowly becoming a modern standard for electronic music makers worldwide and is a great starting point for those looking to delve into the world of computer music. 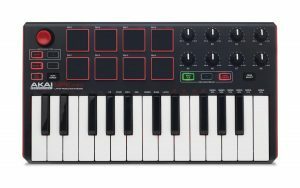 You can get your hands on a MIDI keyboard for as little as £39 (Akai LPK25), download some VST’s and start making music! What is a Software Instrument VST? VST’s (Virtual Studio Technology) are essentially just digitally and synthetically recreated hardware instruments, first introduced by Steinberg back in 1996. It is a form of audio plugin interface that allows the implementation of software synthesises into most modern DAWs. VST software instruments are largely based and emulated on the renowned instruments, synthesizers and samplers from our past, so sounding like your favourite artist has never been easier. No longer do you have to go out and buy the now £2-3k Roland TR-808 drum machine just to have the classic hip-hop and pop style drums present in your tracks. Or the £2k Roland JUNO 60 that defined the sound of the 80s and 90s and continues to do so to this day. Instead, VST’s often feature a similar appearance to the originals and are meticulously designed to match the sonic characteristics that we have all grown to love. They’re a great way of familiarising yourself with these classic bits of hardware, without spending a fortune! 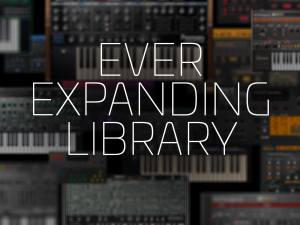 Big brands like Roland, Native Instruments and many others have dipped into the digital VST realm and boast extensive sample packs and subscription-based services, offering access to a lifetime’s worth of well designed, superb sounding software instruments. If your not familiar with the renowned Native Instruments Komplete Virtual Instrument software – CLICK HERE! Which MIDI Keyboard Should you Buy? MIDI keyboards come in a variety of different sizes, ranging from as small as 25 keys all the way up to 88 (25, 37, 49, 61, 73, 88). 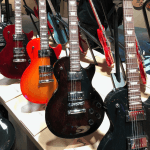 Standard models tend to offer you just the velocity-sensitive keys, octave +/- and modulation wheels. Whilst other models add features such as faders, rotary encoders and DAW control to meet the needs of more demanding setups. Some feature a full 16 pads – making them a great choice for those looking to predominantly perform drums and percussion. Whilst others offer more control features such as faders – making them ideal for those mixing or performing live. Choosing the right MIDI keyboard for yourself will be determined by which of these features you feel you should prioritise. Would you use 16 pads? is 25 keys enough? are you likely to be mapping parameters? Remember, not all MIDI keyboards feature 5-pin MIDI. 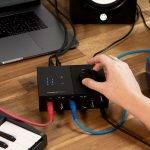 So, if you’re planning on using your MIDI keyboard to programme other devices or another application that utilises this connection, make sure it’s a model where this is present. There are very few MIDI keyboards on the market that come as sleek, well designed, feature packed and well integrated as Native Instruments Komplete Kontrol series. These are the top end pick from all of us here at GAK. If you’re not confined to budget – look no further. The Komplete Kontrol series link up effortlessly with Native’s Komplete Software Instrument packages and can be controlled entirely from the hardware. Native offers generous bundles if purchased together, with seasonal deals around every corner! Available in either 25, 49, 61 and a fully weighted 88 note model. Nektar is a company to watch at the moment. They’re producing some excellent value-for-money keyboards that are feature packed, at an affordable price! They offer unparalleled DAW integration custom designed for Bitwig, Cubase, Digital Performer, FL Studio, GarageBand, Logic, Nuendo, Reaper, Reason, Sonar and Studio One. The Panorama series is Nektar’s high-end models. These come loaded with features and functionality and will be sure to meet the demands of most producers. 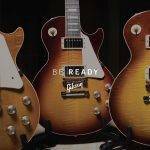 Available in either 25, 49, 61 and 88 note models. 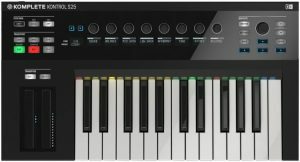 The Q series is Alesis’s entry-level MIDI controller aimed at offering the basic features at an affordable price. 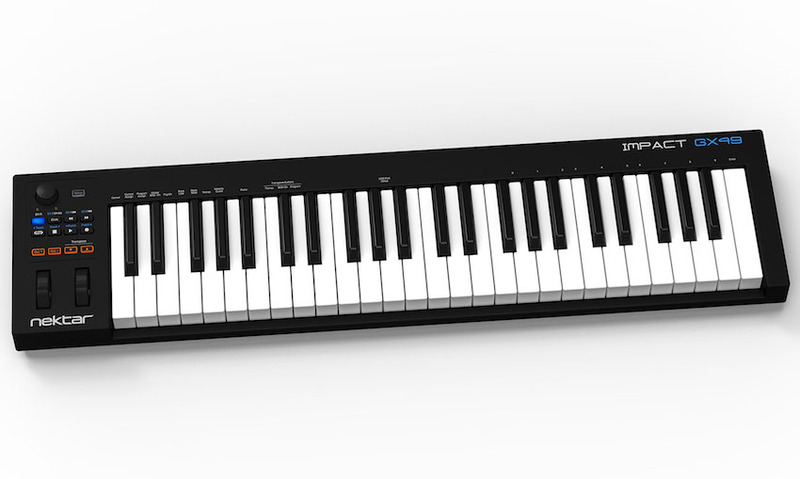 For only £59 you could pick yourself up a full-sized and velocity-sensitive 25 key MIDI controller! The Alesis V & Vi series offer more features, whilst keeping costs relatively low still. They have sturdier build with a nicer all round feel and design! It’s fair to say that few brands out there would have put as much love into refining their keybed action as Roland has. This reflects in their synth action MIDI controllers, with one of the nicest MIDI keyboard keybeds I’ve played to date. The A49 is sleek, compact (thin) and sturdy. Whilst the A800 & A88 are fully weighted, luxurious MIDI keyboards for those who really appreciate the feel more than functionality. If you’re a Roland lover, you can’t go wrong with these series! Previous Top 5 Synthesisers over £500 pounds!